I have been having fun filling my Noteworthy Album from SEI here lately...not really worrying about any particular order or theme but just having fun with it! 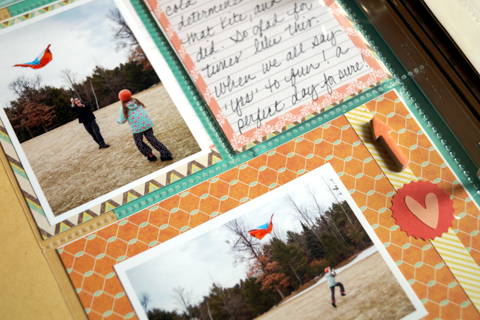 The pocket pages are perfect for little note cards, photos, journaling spots, etc. 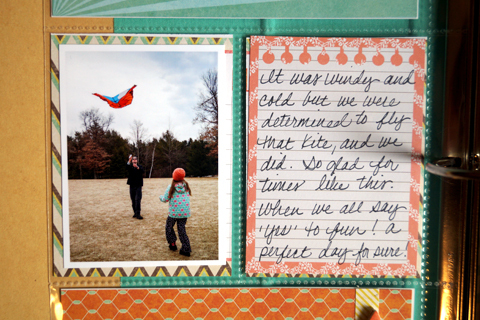 For this front and back spread I shared an afternoon that we as a family decided it was the perfect day to go and try to fly a kite. Totally random but fun! I'm so glad we did it! Using a couple sheets from the Noteworthy 4 x 6 Journaling paper pad was perfect to fill up some of my pockets! I added some stickers and embellishments throughout to just add a little something extra. 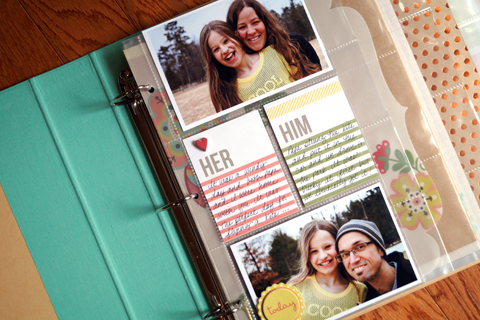 Simple and easy for those days that you want to get something crafty in AND done! You've inspired me! My noteworthy album kit has been sitting on the shelf for at least 2 years, and I've never even opened it - until now, that is. It's going to be my 2016 Year-in-the-Life album! Thanks for the inspiration.